His Excellency Monsieur Jean Paul Jouyet made his first visit to the City of York yesterday following his appointment as French Ambassador to Britain. 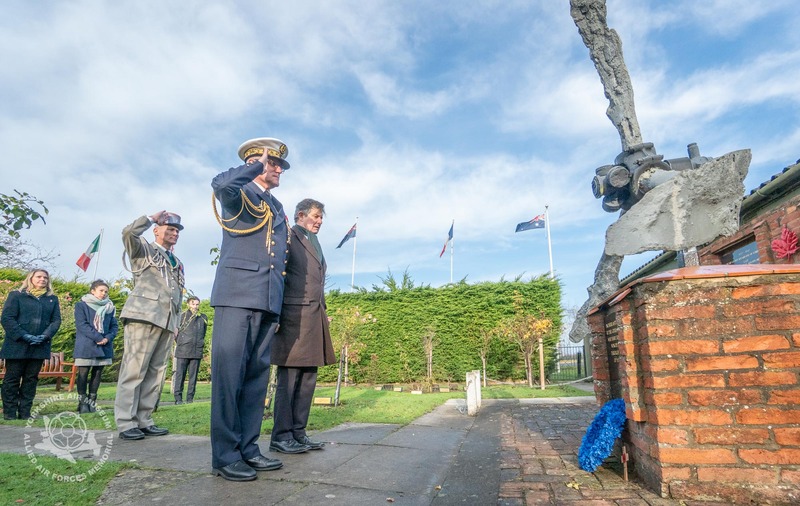 The City has some notable Anglo French connections and we are proud that Ambassador also made a visit to us here at The Yorkshire Air Museum, Elvington where he laid a wreath in our Memorial Garden. He also enjoyed a short tour of the Museum’s Handley Page Halifax bomber where he experienced the inside environment of this WW2 aircraft as flown by the aircrews that flew for RAF Elvington in wartime. Upon leaving the Museum, he then visited the City of York, where he was welcomed to the City at the Mansion House by the Rt. Hon Lord Mayor of York, Cllr Keith Orrell, where he also met the Lady Mayoress; The Sheriff of York and Sheriff’s consort; the Lord Lieutenant of North Yorkshire, Mrs Johanna Ropner; the Chief Executive of York, Mrs Mary Weastall, the leader of York Council, Cllr Ian Gilles, the Chief Executive of Welcome to Yorkshire, Sir Gary Verity, the Director of the Allied Air Forces Memorial, Mr Ian Reed, Brigadier General Hervé Bizeul, Deputy Commander 1st (UK) Division, Ms Sarah Mitchell of York University. The Ambassador was accompanied by the French Defence Attaché, Admiral Luc Pagét and the French Military Attaché, Col. Armel Dirou and the French Consul for Yorkshire Mr Jeremy Burton. Following the visit to the recently restored 18th century Mansion House, the guests walked in procession from the Mansion House through the medieval Stonegate to York Minster accompanied by the York Guard and York Waites in 16th century attire with suitable period music. At York Minster the Ambassador was met by The Precentor and Acting Dean, Rev Peter Moger. The Ambassador, who hails from Nornday, was keen to see the Minster which had been originally built by a famous Norman designer. He also viewed the French Air Force memorial which had been installed in 2011 to mark the return to France, after World War 2, of the 2300 French airmen who were based near York. The party then left to visit Imphall Barracks in Fulford where the 1st (UK) Division has a French Army Brigadier General as 2nd in command. This was a great read. The Yorkshire Air Museum has always been one of our favourite museums!